Give someone the gift of a lifetime, a Tandem Skydive experience 200kph of pure adrenaline. 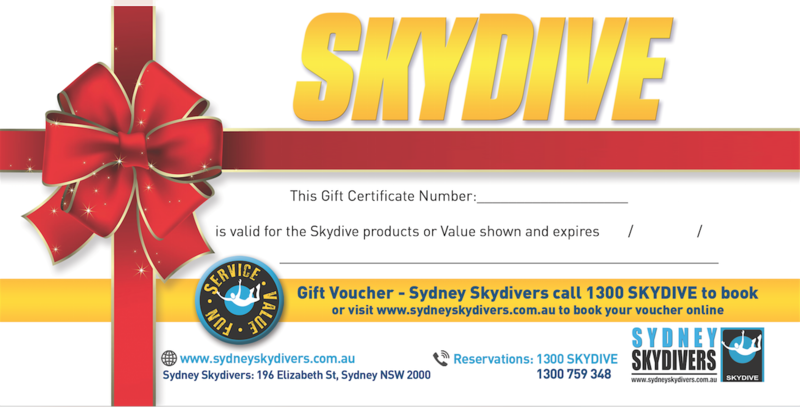 Sydney Skydivers gift vouchers can be purchased for various values which can be used towards any of our skydive products or choose one of our great value vouchers for the entire value of the skydive. If you require a physical voucher please select the $10 add on which is for express post and a physical gift voucher. The voucher value may also be applied towards any of our add on products such as video packages.